This trade lost… and I'm completely ok with that. I'll explain why below. But first, let's look at the trade. Looking at the left first (daily chart) we see that today's session (A) has broken below the prior day (B) and is closing in on yearly lows (C). The chart on the right (60 min chart) allows us to see a little more detail. 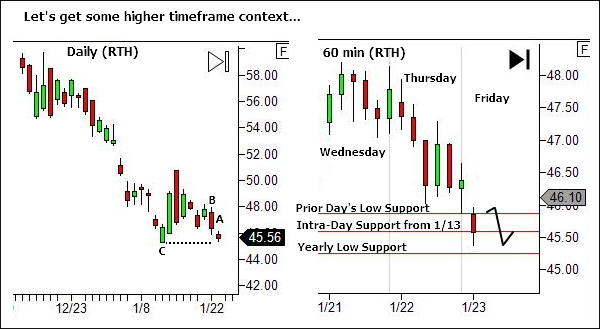 Today (Friday) opened right at the prior day's low support. 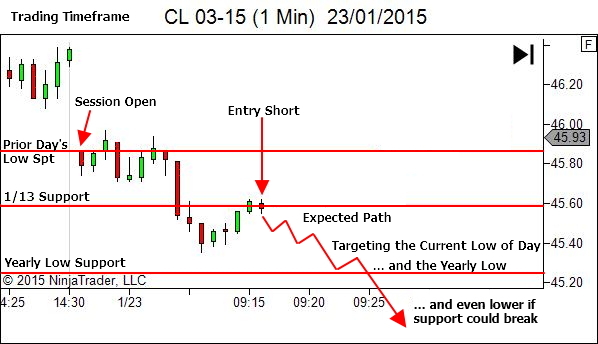 After a brief test higher it broke two levels of support (prior day's low plus an intra-day low from the 13th January). Price is now retesting the 1/13 support, now resistance. 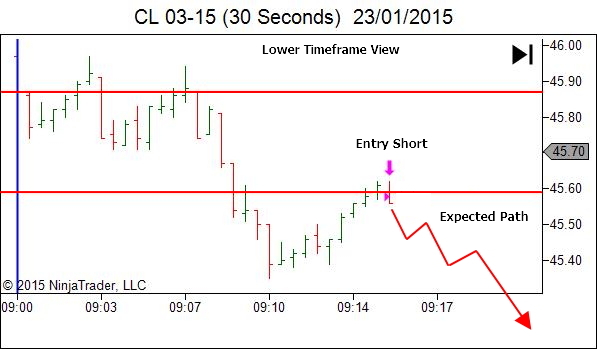 Entry short occurs just one tick below the support level. Risk is tight at six ticks maximum loss. A 3R return would be available for partial exit if price could reach the area just above the Current Low of Day support. A 5R return would be available for partial exit if price could reach the area just above the Yearly Low Support. And even greater returns for a runner, should price break to new lows. This trade was a good loss. It's a trade that occurred in a good structural location. It's a trade that had the potential to provide a significant return compared to the risk. It's a trade that I'd take EVERY time it sets up. 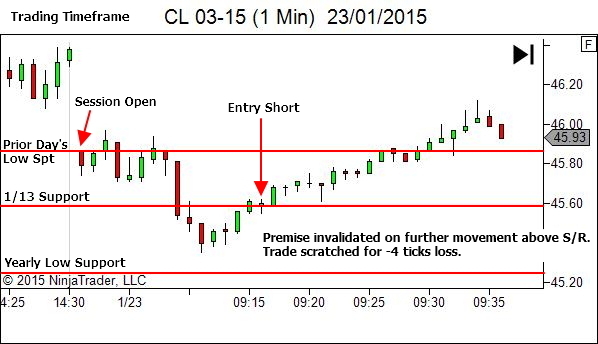 Are you clear on which of your trades you should be taking EVERY time they set up?